Why isn't this ATP just directly released into the cell? Is there a benefit to using the ATP to make glucose? 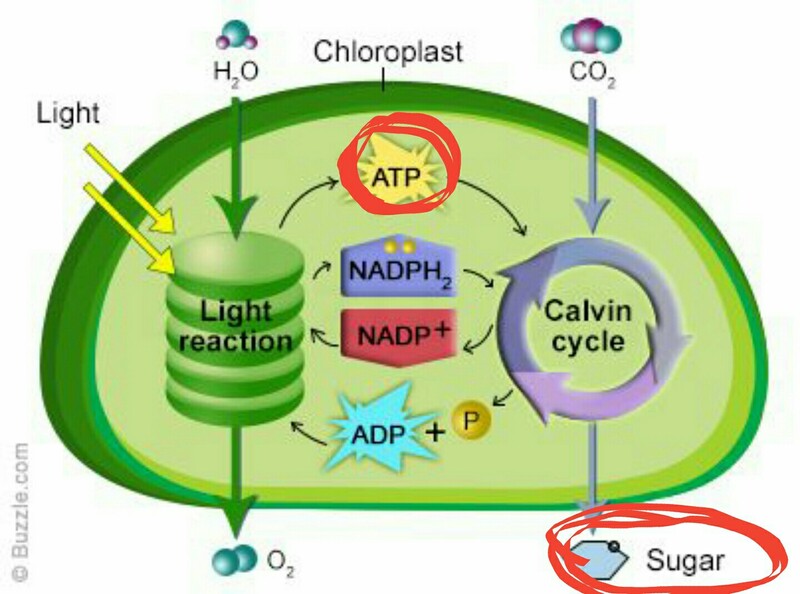 Also, ATP can be made in the chloroplasts with cellular respiration? What happens to this ATP? As far as I can understand your question, you wish to know why a plant cell consumes ATP to produce glucose when it can directly use the ATP as an energy molecule. Not all parts of the plant are photosynthetic. These non-photosynthetic plants need an alternate source of energy. Since ATP is unstable, it cannot be transported to different parts of the plant without degradation. Since photosynthesis cannot happen in the dark, the plants would require some energy molecule that can be utilized later on, in the dark conditions. Plants also need energy storage for seeds. This storage is usually in the form of starch (a polymer of glucose). Glucose is required for synthesis of cellulose which makes the cell wall of plants. The glycolytic pathway (including pentose phosphate pathway) produces important metabolites such as ribose (in the form of PRPP, which is important for nucleotide synthesis), pyruvate (which is used to synthesize alanine) etc. Glucose and some glycolytic metabolites (such as glycerol) also serve as osmolytes i.e. they maintain osmotic pressure in the cell. Basically, points 4-7 convey that Calvin-Benson cycle not only produces sugar but what it actually does is fix inorganic carbon (as CO2) to organic form (in the form of sugar). So, most (practically all) of the carbon that a photosynthetic plant has, comes from this carbon fixation process and that's how plants are photoautotrophic. Not the answer you're looking for? Browse other questions tagged photosynthesis cellular-respiration energy sugar or ask your own question. Can plants survive indefinitely without external supply of gases at compensation point? How exactly is glyceraldehyde 3-Phosphate reverted to ribulose 1,5-bisphosphate for the continuation of the calvin cycle? Where do the 2 electrons and H⁺ go when NADPH is turned into NADP⁺ during the Calvin Cycle?